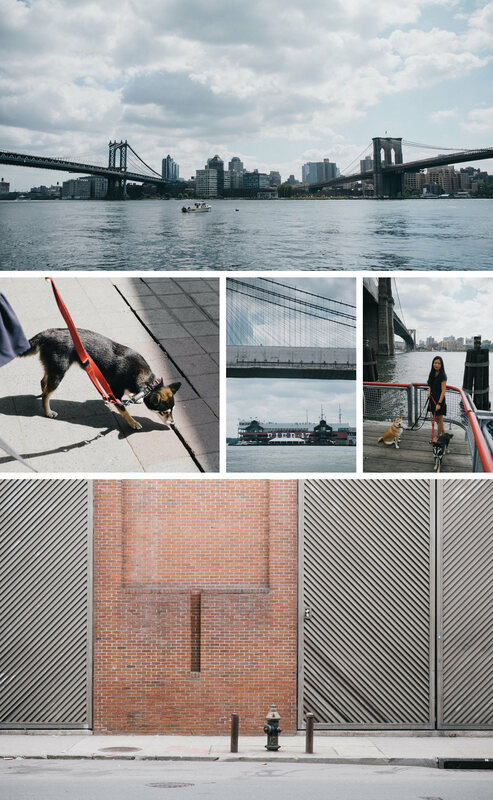 Despite the rain overnight, we took the pups to South Street Seaport on Sunday as the weather turned for the better. 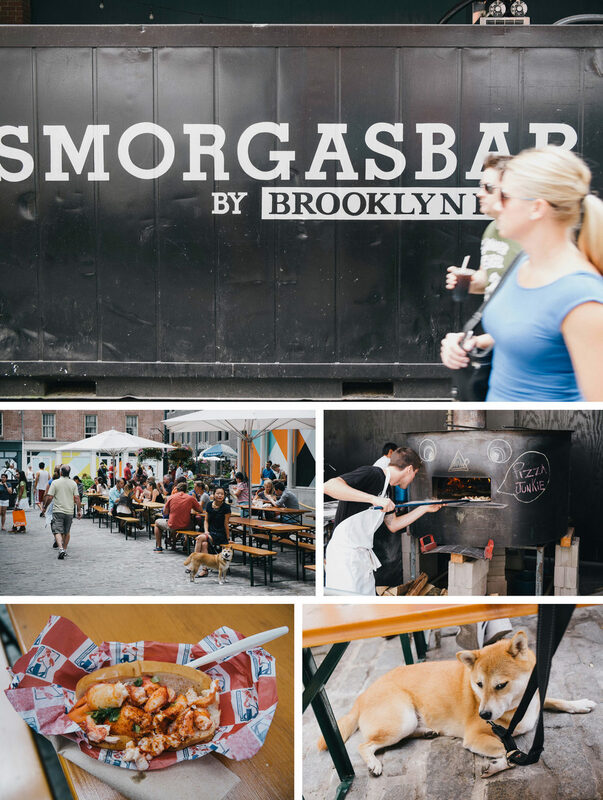 We did not know that at the Seaport there is what is called the "Smorgasbar" -- we saw some familiar food stalls there, including Red Hook Lobster Bar. After lunch, we took a brief stroll around the neighborhood. The sun came out and the puppies got pretty hot. They were pretty tired by the time we got back to our car. Photos taken with Fuji X-E1 + XF 18-55mm f/2.8-4.